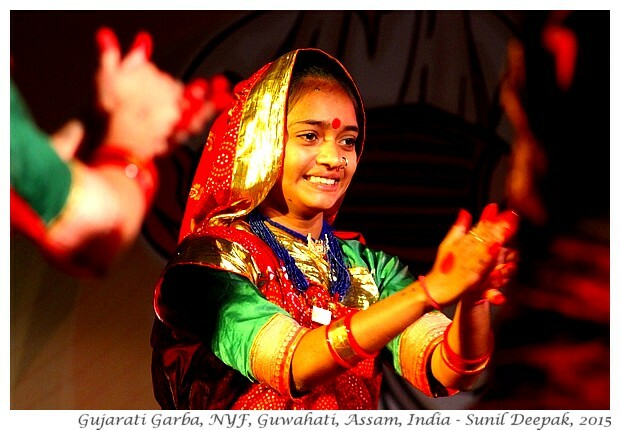 When I had come to Guwahati, I had not expected to find so many opportunities for an active cultural life. However, the past 2 months have been wonderful, full of stimulating discoveries. It helps that Guwahati city is relatively small and reaching most places is easy through the public transport. Here are some notes from my diary about the cultural events in the city in the past weeks. 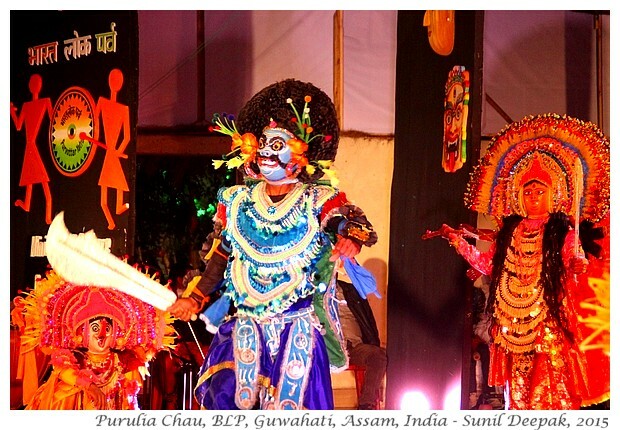 The picture above is from a Purulia Chau dance performance from West Bengal in the "Bharat Lok Parva", a festival of folk dances, music and theatre held in Guwahati that was organized by the East Zone Cultural Centre of Kolkata. 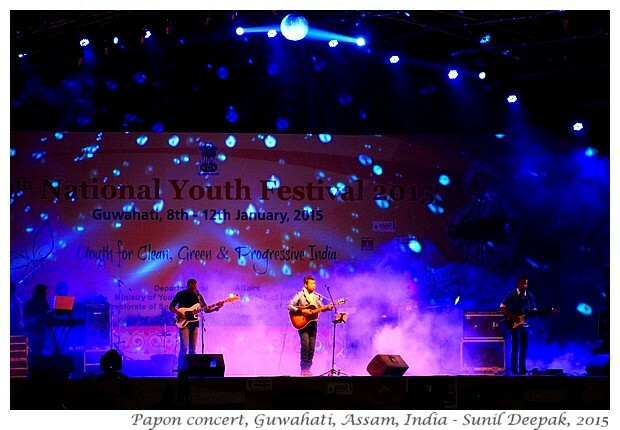 The National Youth Festival (NYF) in the beginning of January 2015 was the first big cultural event in Guwahati for me. Youth groups had come to the city from different parts of India to present folk-dances, classical dances, music, poetry and theatre. All the events were simultaneous, held in parallel sessions in different venues around Dighalipukhuri in Uzan Bazar. Finding information about the programme, venues and times was not so easy but in the end, I had managed to attend the folk-dance performances held in the library auditorium. It was an opportunity to see a huge variety of traditional folk dances from different states of India. I was especially thrilled by the folk-dances of the north-east, since I did not know them very well. Since I had decided to focus on folk-dances, I had to miss all the other events of classical dances, theatre, debates, etc. However, one evening during the festival, I had gone to the concert by Assamese singer Papon in the Guwahati stadium. I love his singing and it was a nice coincidence that he had started his concert by my favourite, “Din-dinae” song. One day while visiting the Assam state museum, by chance I had found myself in the middle of the national conference of Indian museologists. There I had met Prof. R. D. Choudhury, the president of India’s Art History Congress as well as, the former director of Assam State Museum and the former director general of National Museum in Delhi. After the conference, I had gone to meet him one afternoon. Talking to him about his life, his work in different museums and about the art history of India, was a fascinating experience. I love art history and I hardly know anything about the art history in India, so hope to learn more about it. 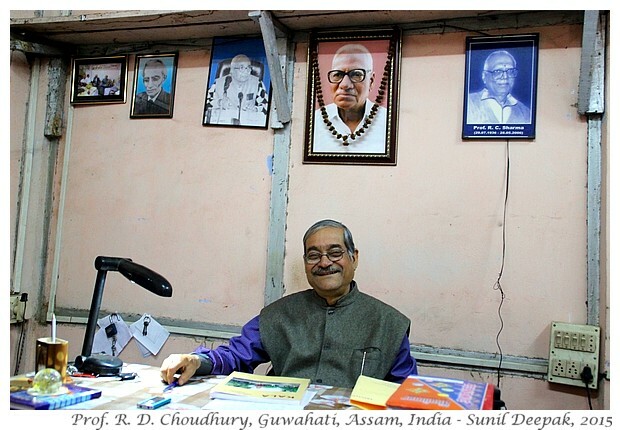 The image below shows Prof. Choudhary in his office. Prof. Choudhary has told me that he is working on his autobiography and it should be ready for printing in another six months. I am looking forward to reading it. By chance I had heard about a creative festival called “Rain Dance” that brought together environmental protection and art, to be held in Bashistha. I had written to Alak Pathak, the organiser of the festival, who had given me instructions about reaching the festival venue near Bashistha. However, reaching that place had turned out to be much more difficult than I had imagined. 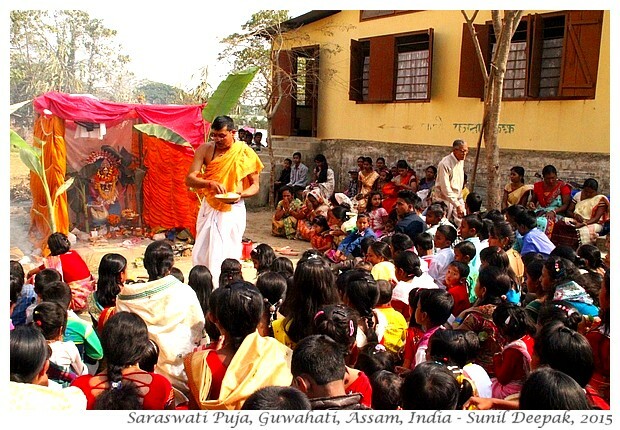 I had walked on a small inner road for a very long time without finding any sign of the festival and instead, found myself in the middle of a Saraswati Puja celebration in a girls’ school. Then talking to some young boys, I had discovered that I had missed the turning for the Dancing Rain festival venue. Fortunately one of the boys offered to accompany me to that place on his vespa scooter, which was another small adventure! 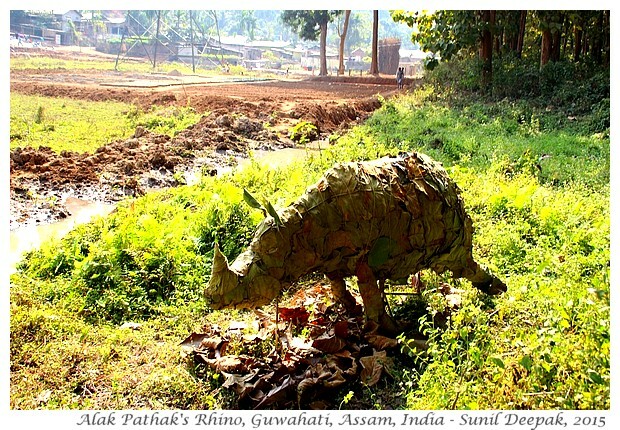 The images below is from the "Dancing Rain" festival, it shows a beautiful rhino “green” sculpture that Alak Pathak had created with Sal (teak) tree leaves. As you can guess from the sculpture, this festival was held in a field, close to a forest. 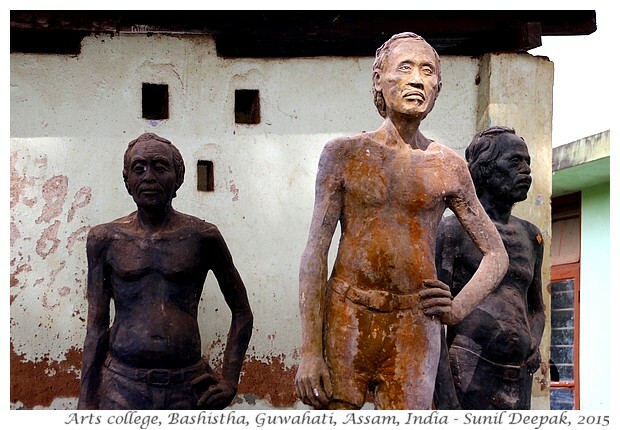 Coming back from a visit to Bashistha temple, I had also visited the Art College of Guwahati. Arts college is in a run down unassuming low building. However, there are many beautiful sculptures in its courtyard made by its students, many of them covered by dust and cobwebs. These give it a kind of look of an abandoned open air art exhibition. I found the ambiance of this place magical. If you are ever in Bashistha, don’t forget to take a look at the surroundings of the art college and discover the hidden sculptures. 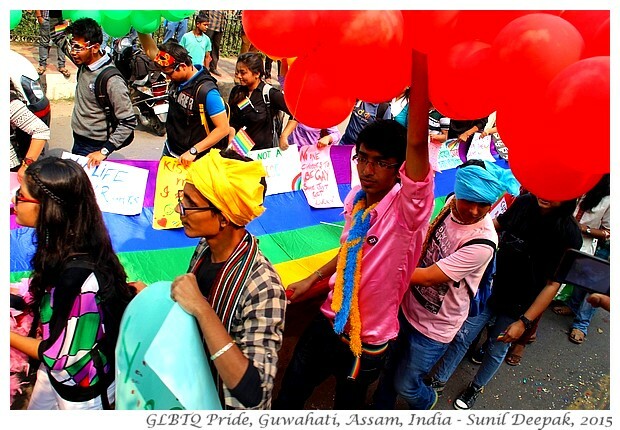 The news about the first North-Eastern GLBTQ (Gay, Lesbian, Bisexual, Transsexual, Queer) Pride Parade was a pleasant surprise - it was a surprise because I had thought that outside the big metro cities in India, people will not have the courage to raise their voices about alternate sexualities. It was very colourful and joyful. 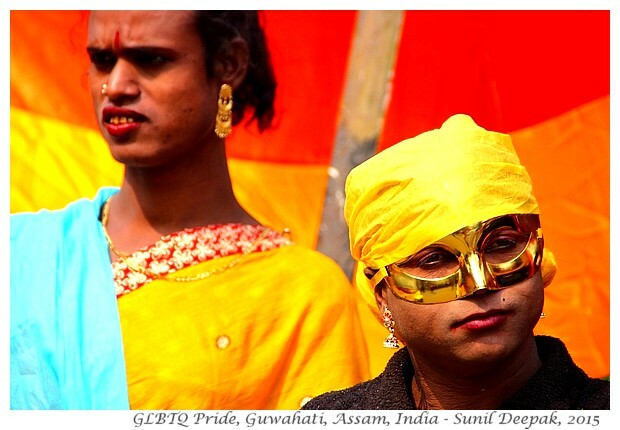 An unexpected pleasure of the GLBTQ parade was the readings of poems and some wonderful music and dance performances. And it was good to see so many young persons. I had walked to Shilpagram. From the way it was described, I was expecting to see a cross between Dilli Haat and the crafts village at the Pragati Maidan in Delhi. It was almost 11 AM. However, the ticket window was closed. The guards and some persons were sitting near the ticket window. “It is closed”, one of them had said. “But I had read that it opens at 10.30?” I had asked. “When the ticket-babu will come, then it will open”, he had explained. “What time does he come?” I had insisted. “He lives far away, so it takes some time. Sometimes he reaches at 12 noon”. So no luck Shilpagram. May be the next time, I will go there, I will have better luck. It was one cultural visit that did not happen! I had seen the billboard of the “Bharat Lok Parva” (BLP) at Ravindra Bhawan. It was supposed to be organised at Kalakshetra from 16 to 21 February 2015, but the time was not specified. Since Kalakshetra is not far from where I live, so it was easy to go there to find out more about this folk-dance and theatre festival. Though it will be helpful if such information is shared in a more systematic way. BLP has been a really beautiful festival. The quality of the folk dances and plays has been very high. It was organised by the East Zone Cultural Centre in Kolkata. They have promised to hold this festival every year. 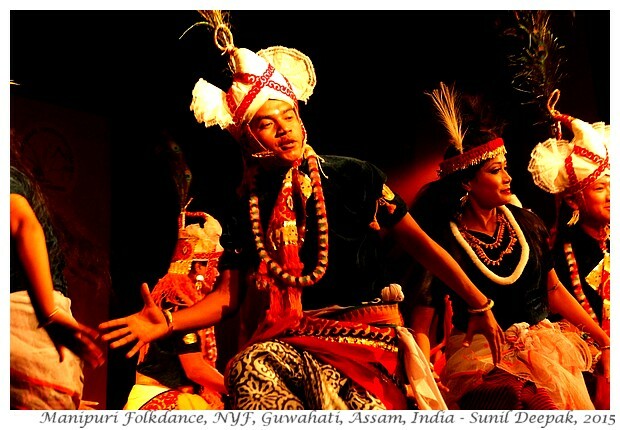 It is not so easy to find the time and venue of most cultural events in Guwahati. Local English newspapers like Assam Tribune do not have a regular space to inform about the different cultural events planned in the city. Often I know about them when they decide to publish a report or pictures, sometimes a week or more after the event. 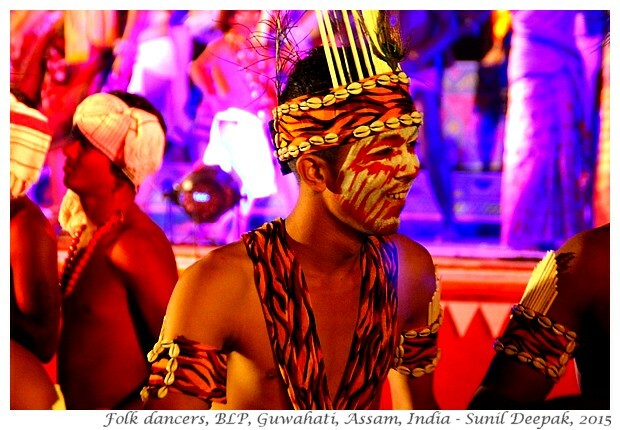 I think that journalists, media persons, artists and persons interested in culture in Guwahati, need to find a solution so that precise information about cultural programmes (what, where, at what time, how much do the tickets cost ..) need to be available to general public through the press and through some websites. The above notes from my diary are about the principal cultural events that I could attend. There were many other events like the Kite festival at the river front in Uzan Bazar where I was unable to go. Ravindra Bhawan and Kalakshetra are the two main cultural venues that I have discovered in Guwahati but probably there are many more. 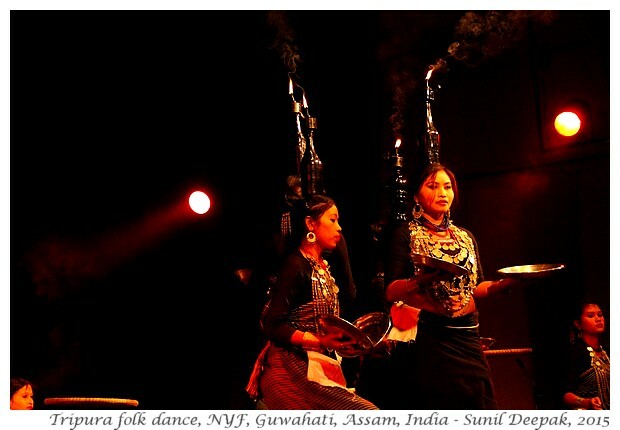 I had not expected so many cultural activities when I had come to Guwahati. It has been a wonderful surprise. 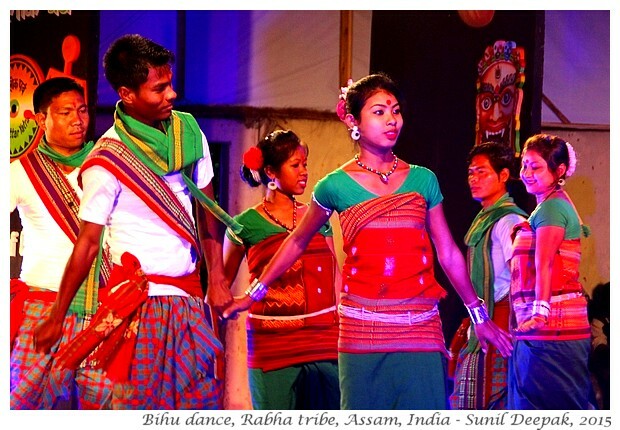 I am slowly trying to learn Assamese, so hopefully in future, the cultural opportunities will be even more! There is so much to learn, to witness in this place. You must be so lucky to have witnessed all this. Do they do theatre and plays in Hindi?? 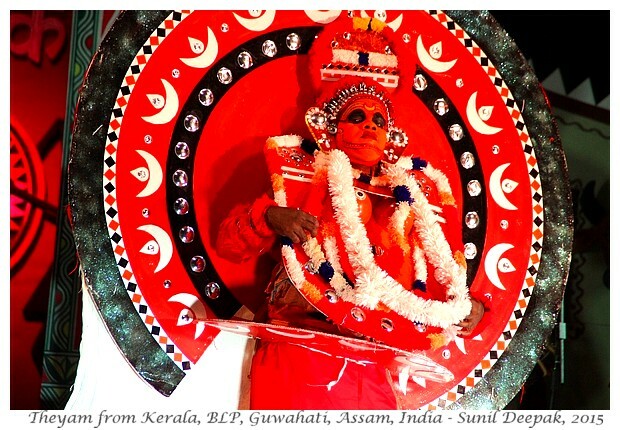 Amren, theatre festivals are organised regularly in Kalakshetra and Robindra Bhoban, which occasionally include Hindi plays. Thank you sir. I am shifting to Guwahati very soon. I have done some plays in Delhi and I am looking to join some hindi theater group in Guwahati. If you know some Hindi play group please help me out.